While Thiruvananthapuram (previously known as Trivandrum) is the capital of God’s Own Country, visitors flock to Kochi as the cultural heart of Kerala. Settled by the Arabs, Chinese, Dutch and European Jewish communities over time, Kochi still reflects a melting pot of sights, scents and sounds. It’s this diverse history that makes this small town fascinating. In this post I share some of my favorite things to see in Kochi. 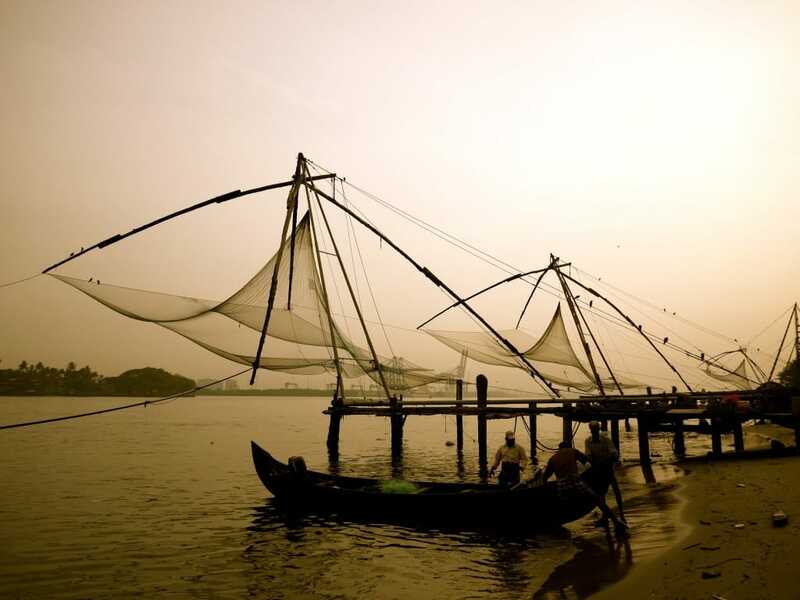 The most iconic sight in Kochi is the huge Chinese fishing nets that line the coastline. The nets were first established in the 14th century and are still used to bring in the catch of day. 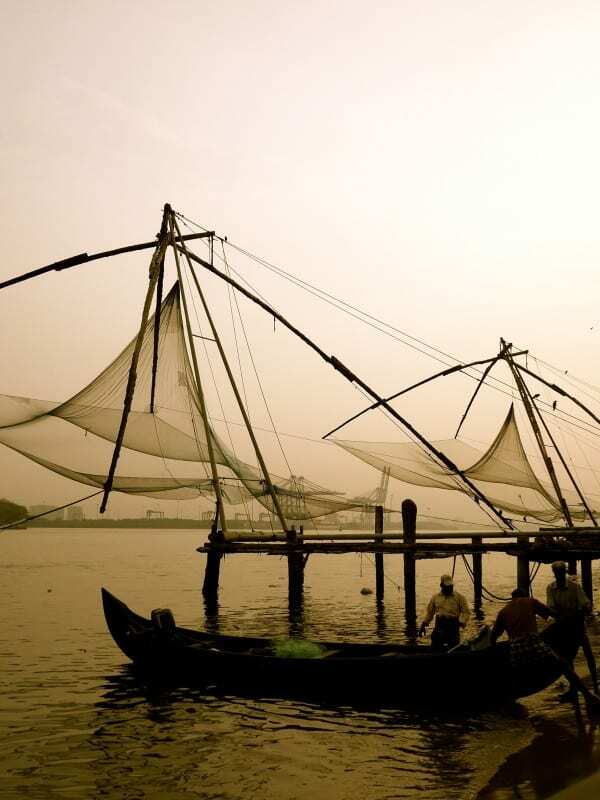 You can snack on locally caught seafood in the nearby market stalls or take a tour where you can find out firsthand how these large nets operate. 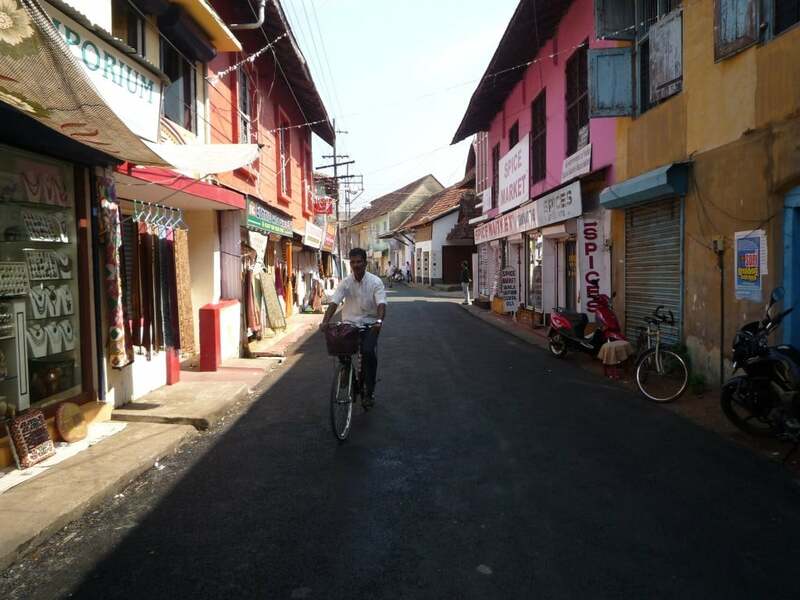 Like many old colonial towns, Kochi’s streets tell a story about their history. The region of Mattancherry takes you back to the Dutch settlement, with historic buildings including the beautiful Dutch Palace. While Jew Town was once home to the town’s Jewish population, it’s since been taken over by the atmospheric market where you can pick up some sweet vanilla or spicy pepper grown in Kerala, or perhaps find a bargain in the colonial antique stores. And if you want to find some souvenirs or just relax with a cup of coffee head to Princess Street. No trip to Kerala is complete without enjoying a relaxing Ayurvedic treatment. While this ancient medical treatment is best experienced as part of a longer treatment plan, there are plenty of places in Kochi where you can enjoy a single massage or treatment. Traditionally incorporating oil there are several different types of Ayurvedic treatments that you can experience. To relax your mind why not try the Shirodhara, where warm oil is slowly dripped on your third eye. 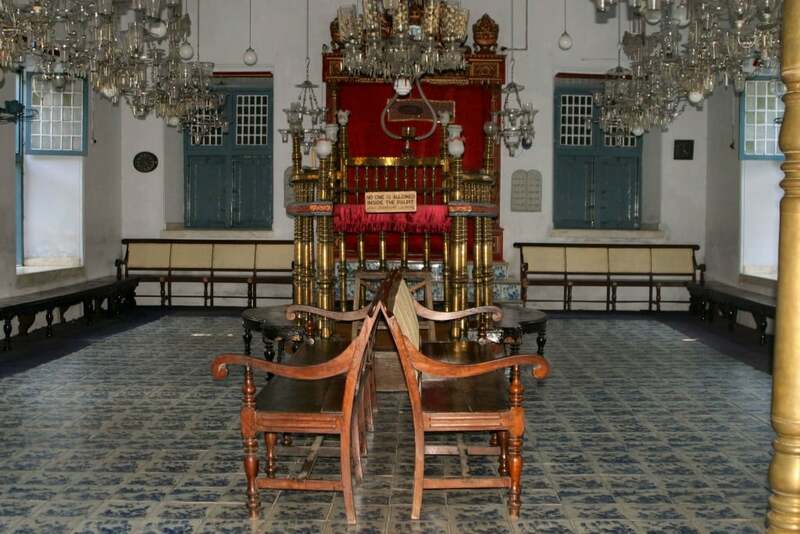 Built in 1567, the Paradesi Synagogue (meaning foreigner’s synagogue) is one of the oldest in India. While the community is much smaller nowadays the building is still in use, making it the oldest active synagogue in the Commonwealth. The striking blue tiles were hand-painted in China, while the stunning chandelier was imported from Belgium. 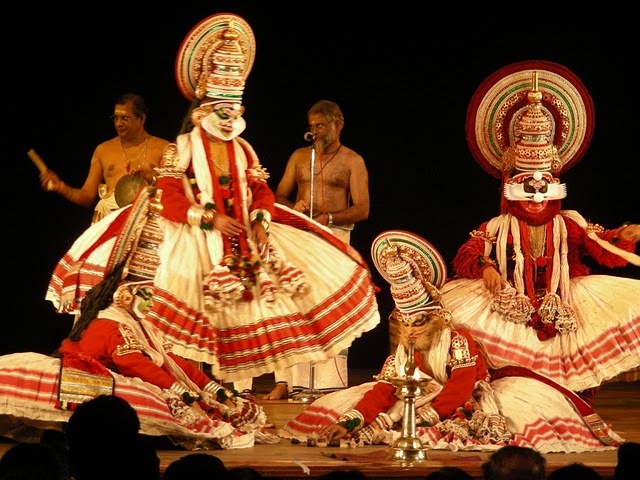 Kathakali is a striking form of dance traditional to Kerala. Mythological stories are told by highly decorated dancers whose appearance can be a little unusual. While their dance moves may not appear to be too vigorous they are full of meaning, and every body part is involved in the performance. Pay particular attention to the performer’s eyes, they impressively tell a story of their own. While Kochi is surrounded by water there isn’t necessarily anywhere to sunbathe on the beach. If you’re looking for a golden stretch of beach then get on the local ferry to Vypeen Island. One of the best beaches on the island is Cherai beach, just a short rickshaw ride from the ferry stop. The isolated beach is perfect for a day trip or find a bungalow and stay the night.